The sights at Proleek were another unexpected treat during my latest trip. 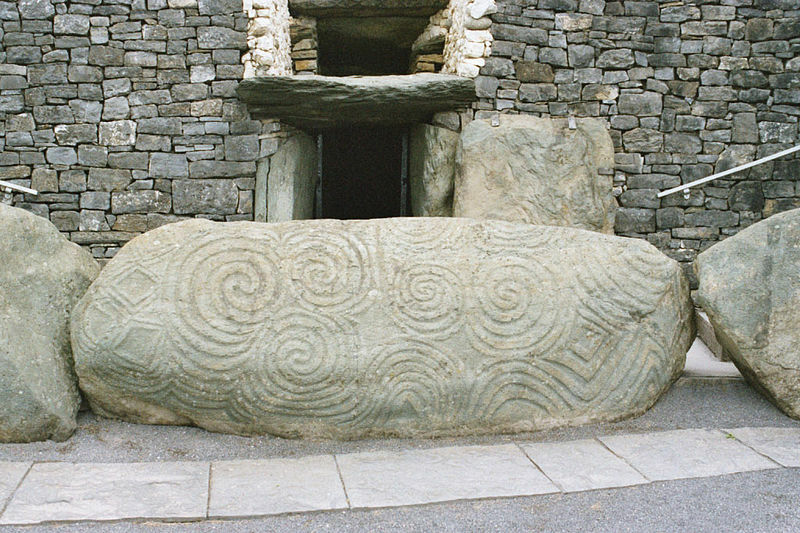 I hadn’t heard of the dolmen or court tomb prior to the trip, and only learned about its existence after my mother made an offhand comment to our B&B host at The Highlands, Marie, that I seemed determined to drag her to every megalith in Ireland. Marie took interest immediately and asked if I’d heard of the dolmen just 15 minutes away. When I shook my head, she assured me she’d have directions for us in the morning. The site, she explained, is kept somewhat a secret due to its location. 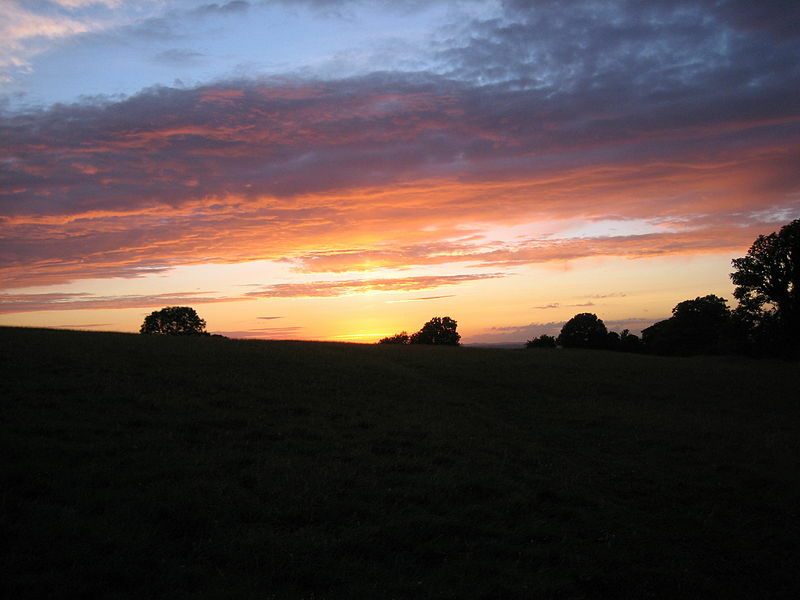 Rather than on a remote hilltop like Loughcrew, or out in the middle of a field like the Browneshill Dolmen, Proleek sets in a very ironic spot – the middle of a golf course owned by a high-end hotel. 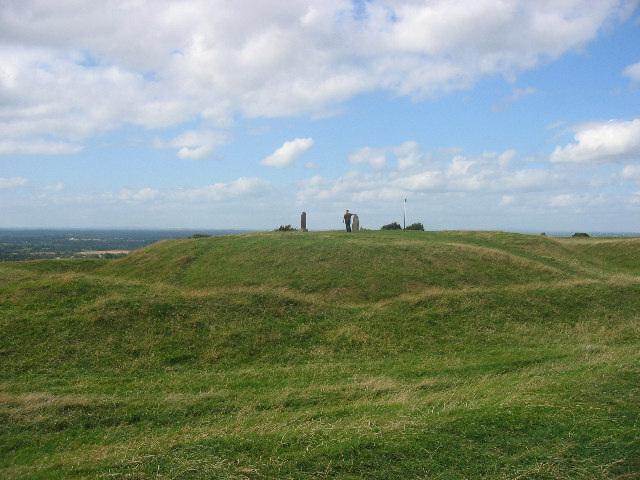 That’s right – a 5,000 year old sacred site now can only be reached by dodging golf balls. But the hotel provides easy access to visitor, even if they don’t advertise their hidden attraction. Still tired from our long drive the night before, my mom decided to rest in the car and sent me on down the trail alone. It had a different feel to it than walking to Loughcrew, less like stepping back in time and more like setting off on an ordinary stroll down well manicured garden paths. I passed several golfers on my way to the dolmen (and even more signs reminding visitors to watch out for golf balls), but met no one else on the path. After wondering if maybe I’d somehow taken a wrong turn, I rounded one last corner and the court tomb came into sight. The sign beside the site offered no information, merely a reminder to keep off the grass. And though small compared to other megaliths, it left me renewed and eager to push onward. I didn’t have to wait much longer to see the dolmen, however, as it came into view almost as soon as the court tomb fell out of sight. The concrete path curved around the dolmen before circling back, allowing me to look at it from every angle without stepping on the hotel’s golf course. Unlike the court tomb, the dolmen did have a signpost that told a little about the site. It explained that Proleek gets its name from a word meaning obscure, because not much is truly known about it. It’s suggested a cairn might have once covered the monument, though no evidence of one has been found. It’s also worth noting that the site has been altered – one of the portal stones has been reinforced with concrete and smaller stones sometime since the dolmen’s discovery. And, if you look closely at the capstone, you’ll notice a number of smaller stones. Local superstition holds that if you toss a stone on it and it stays, you’ll be married within the year. Unfortunately, even after returning to the States, I’ve not been able to find much information about either the dolmen or the court tomb. 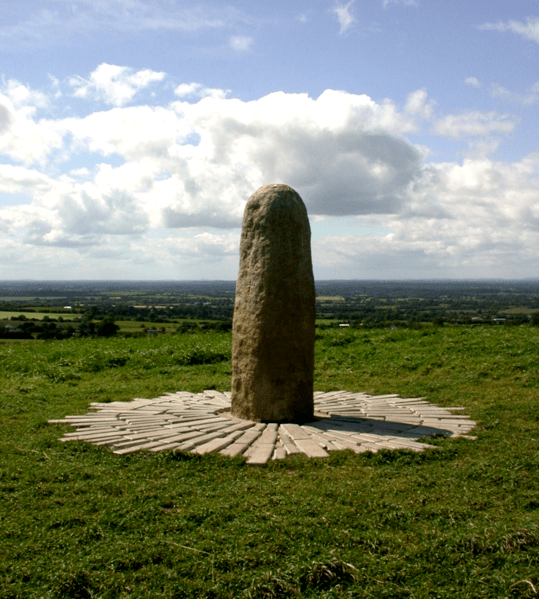 Multiple sites refer to Proleek as being one of Ireland’s most easily recognized dolmens, but little else is ever said. The site lives up to its name in that sense, retaining obscurity in even such an open, modern space. 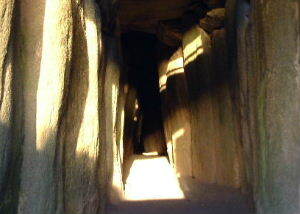 Admission to both the dolmen and court tomb is free during daylight hours. However, as these sites are on the hotel’s grounds, please remember to be respectful and stay on the designated walkways. If you wish to see more of photos from Proleek, please check out my dA account here.